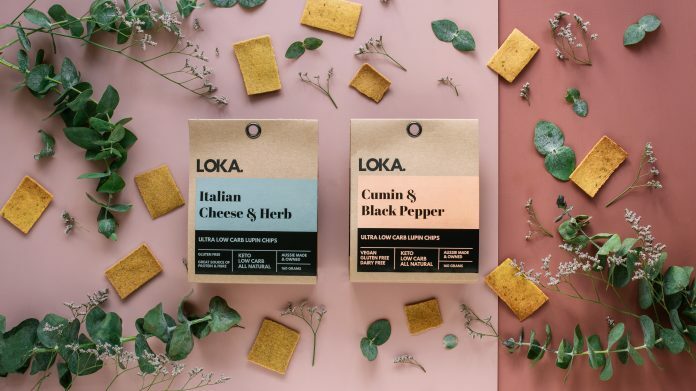 Made from lupin sourced from Western Australian farms, coconut oil, and herbs and spices, LOKA chips target consumers on a number of diets including keto, vegan, gluten-free, and dairy-free. Melbourne mother-daughter duo, Mel Gittus and Maddison O’Brien, launched LOKA after noticing a gap in the market for a crunchy keto-friendly snack. The first two flavours – Italian Cheese & Herb and Cumin & Black Pepper – were introduced two months after the brand’s launch, followed by a third chip flavour, Rosemary & Sea Salt. LOKA chips are stocked online via keto and low carb stores with the team looking for a distributor to help take the brand further into bricks and mortar stores. “We’re working really hard to ensure this year is a big growth year for us,” said Maddison. LOKA keto chips are Australian-owned and made, gluten-free and keto-friendly. The Rosemary & Sea Salt and Cumin & Black Pepper flavours are also vegan and dairy-free.